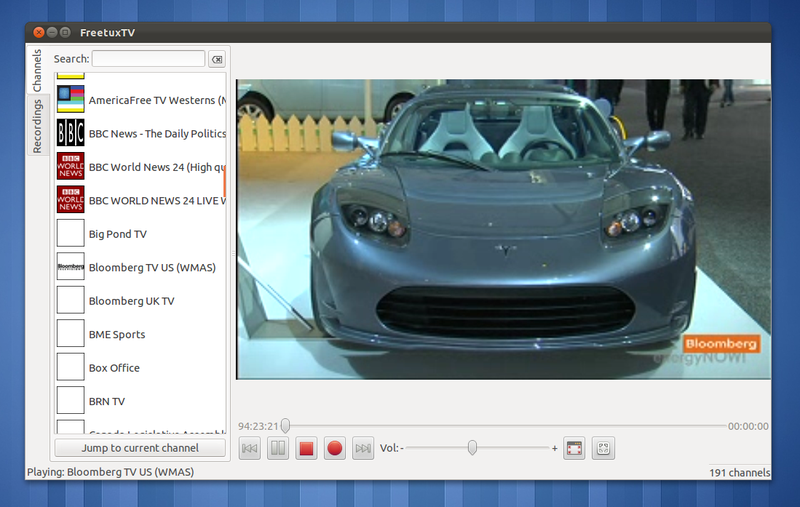 FreetuxTV is a free WebTV and Web Radio player for Linux. It uses the engine of the popular media player VLC as its backend. Play in full screen mode and miniature mode. More than 365 logos of TV channels. Support for keyboard multimedia keys. Add custom groups of channels from M3U playlists. Recording live channels with ability to set duration. Ability to create favorite channels groups. 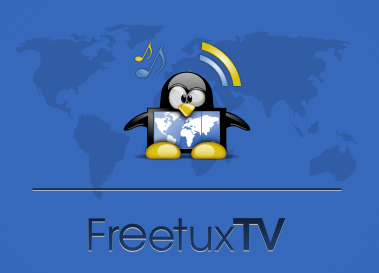 Once installed, search the Dash for 'FreetuxTV' and start it. Note: FreetuxTV won't work unless you install VLC media player. I noticed a minor bug in the latest version 0.6 that it wasn't displaying the channel logos for some of the channels as you can notice in the screenshot above. On first run, it would offer you to choose your desired channel list based on your language. You can also add/remove channels later from FreetuxTV > Preferences dialog.